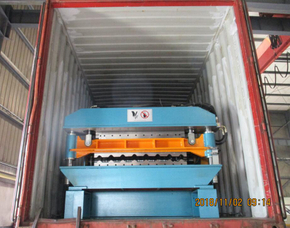 Delivery of 15 years lifetime quality C purlin roll forming machine to Argentina on November 09,2018 Zhongyuan Machinery Factory creates customized good quality roll forming machines and provide unique service that meets the specific profile our customer wants. 【Long Life Machine】Roller material is Cr12 mould steel with quenched treatment. Heat treatment for cutting frame to remove the steel stress, to avoid deformation. Cutting material is Cr12 mould steel with quenched treatment, all these processing steps ensure machine 15 years long life time. 【High Precision】Shafts for rollers are tooled by grinding machine at least twice. Rollers are CNC processed to ensure precision performance. 【Automatic & Easy Operate】Safe and easy to operate with Mitsubishi PLC touch screen operating system.Friendly man-machine interaction. 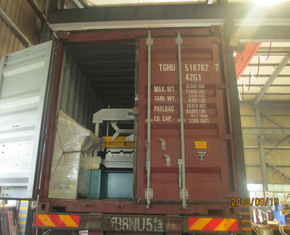 Delivery of high speed AG Profile Roll Forming Machine To USA On November 02,2018. Zhongyuan Machinery Factory creates customized good quality roll forming machines and provide unique service that meets the specific profile our customer wants. 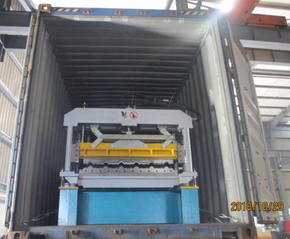 Delivery Of High Speed R101 Lamina Roof Panel Roll Forming Machine To Mexico On December 30,2018 Zhongyuan Machinery Factory creates customized good quality R101 roll forming machines and provide unique service that meets the specific profile our customer wants. 1.【High efficiency】Production speed: 20/min. You can get 9600m per shift one day(8 hours) . 2.【Long Life Machine 】Buyer can use Zhongyuan roll forming machine at least 15 years. Zhongyuan Machinery Factory creates customized good quality roll forming machines and provide unique service that meets the specific profile our customer wants. 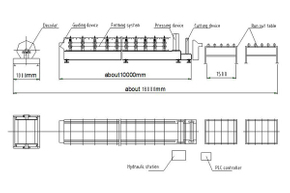 1.【High efficiency】Production speed: about 6-7/min. You can get 2800m per shift one day(8 hours) . 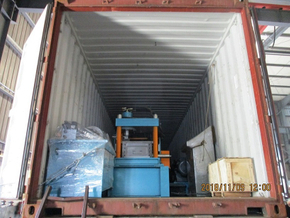 2.【Long Life Machine 】Buyer can use Zhongyuan cold roll forming machine at least 15 years. 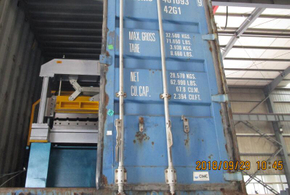 Delivery of automatic CZ purlin cold forming equipment to Hungary on September 30,2018 Zhongyuan Machinery Factory creates customized good quality roll forming machines and provide unique service that meets the specific profile our customer wants. 【Automatic & Easy Operate】Safe and easy to operate with Mitsubishi PLC touch screen operating system.Friendly man-machine interaction. 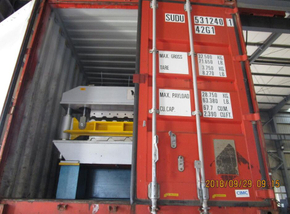 Delivery of High speed T18+T35 double layer profile roll forming machine to Hungary on September 29,2018 Zhongyuan Machinery Factory creates customized good quality roll forming machines and provide unique service that meets the specific profile our customer wants. 【Automatic & Easy Operate】Safe and easy to operate with Mitsubishi PLC touch screen operating system.Friendly man-machine interaction. 【Excellent Services】Technician can be sent to your factory to install the machine and train your workers. Engineers are able to service overseas.We supply lifetime services for our machines. 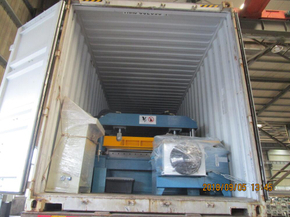 Delivery of High speed T8 profile roll forming machine to Hungary on September 30,2018 Zhongyuan Machinery Factory creates customized good quality roll forming machines and provide unique service that meets the specific profile our customer wants. 1.【High efficiency】Production speed: 20/min. You can get 9600m per shift one day(8 hours) . 2.【Long Life Machine 】Buyer can use Zhongyuan roll forming machine at least 15 years. 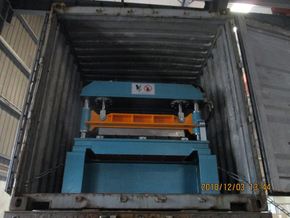 Delivery of High speed step tile cold roll forming equipment to Nigeria Tincan on December 22,2018 Zhongyuan Machinery Factory creates customized good quality roll forming machines and provide unique service that meets the specific profile our customer wants. 1.【High efficiency】Production speed: about 6-7/min. You can get 2800m per shift one day(8 hours) . 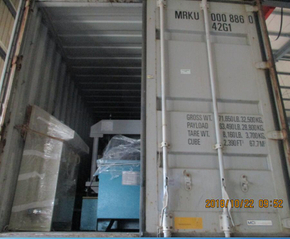 2.【Long Life Machine 】Buyer can use Zhongyuan cold roll forming machine at least 15 years. 3.【Excellent Services】Technician can be sent to your factory to install the machine and train your workers. Engineers are able to service overseas.We supply lifetime services for our machines. 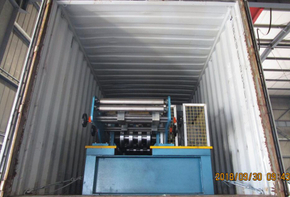 Delivery Of Profile Roll Forming Machine To India On September 19,2018 Zhongyuan guarantees our produced roll forming machines can run 15 years in buyer factory,maximizing customer investment profit. 1. Production speed: 20m per minute . User can get 9000m per day (one shift working 8 hours). 2. Excellent services: Technician can be sent to your factory to install the machine and train your workers. Lifetime services for our machines. 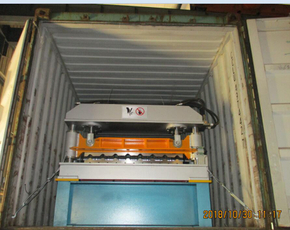 Delivery of C Purlin roll forming machine to South American country on September 12,2018 Zhongyuan guarantees our produced purlin roll forming machines can run 15 years in buyer factory,maximizing customer investment profit. 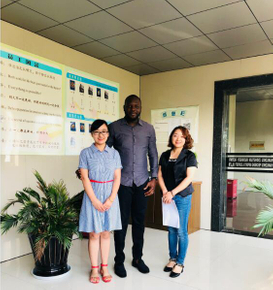 Customer visited and confirmed Aluminium step tile machine order on September 04,2018 Visitor was satisfied with our processing for machines and is confident to confirm his order to Zhongyuan factory at same day. 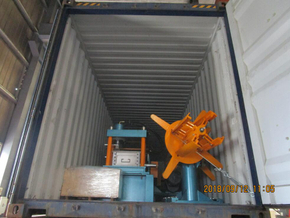 Delivery of cut to length machine to Mexico on September 06,2018 Zhongyuan guarantees our produced roll forming machines can run 15 years in buyer factory,maximizing customer investment profit. Production speed: 15m per minute . User can get 7000m per day (one shift working 8 hours).